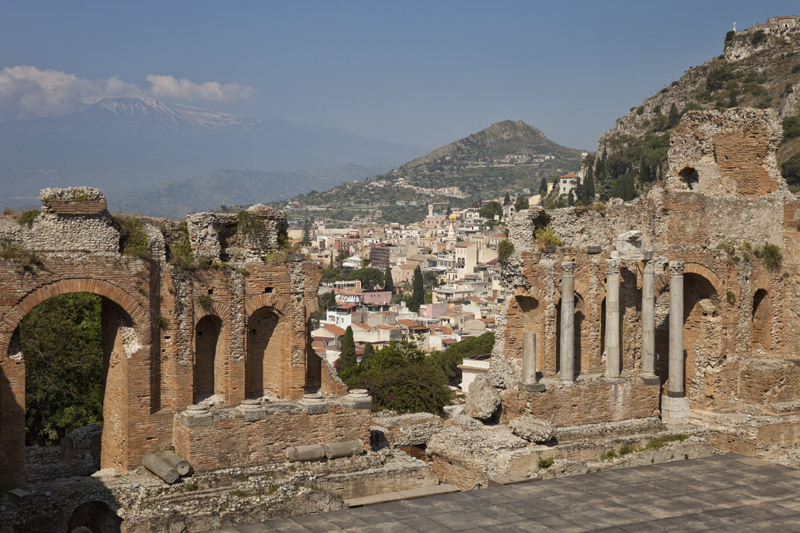 Taormina is located on the Eastern side of Sicily and sits at the foot of the biggest volcano in Europe, Etna, which you can ski on in the winter. Undeniably special, a very pretty hillside town and one of our favourite Sicilian towns. It’s a very busy place during June and September, very crowded with tourists in the main street, Corso Umberto, but what an atmosphere. It hosts hundreds of restaurants and pizzerias serving fresh and local dishes. The value for money is excellent! Visit the amphitheatre for fantastic views of Mount Etna. A place not to be missed during a visit to Sicily.